By now, the news of Tuesday's $33 billion takeover of Westfield has well and truly flooded Australian news media – after resuming trade today, shares in Westfield have soared nearly 14 per cent to $9.68 and $22 billion has entered the local market. Yesterday’s takeover offer by Europe’s Unibail-Rodmaco had the effect of boosting Australian-listed property interests including Scentre (which owns and manages the company’s Australian Westfield malls) rising 4.1 per cent and competitor Vicinity Centres up 2.5 per cent at close of trading on Tuesday. Owners of shopping centres and listed property trusts have wrestled for some time with the threat of online shopping and the arrival of US giant Amazon weighing heavily on the sector. Advisory group BDO found that Australian REITs performed poorly for investors over the 2017 financial year, contributing to a 6.3 per cent negative total return – down significantly from 24.6 per cent on the previous year. Westfield, for the most part, has weathered the digital storm by combining high-street shopping with dining, cinemas, bars and other experiences. Its founder, Sir Frank Lowy, sees strength in size with the Unibail-Rodmaco deal and the opportunity to offer customers an experience beyond just selling goods. Paris-based Unibail-Rodmaco is the largest commercial landlord in Europe, with interests in shopping centres, offices and exhibition centres. It has offered a mix of cash and scrip to obtain control of Westfield at a premium of 17.8 per cent on the most recent trading value of Westfield securities. Westfield’s Australasian assets were spun off into a separate company, Scentre Group, in 2014. Scentre Group is not included in this deal. 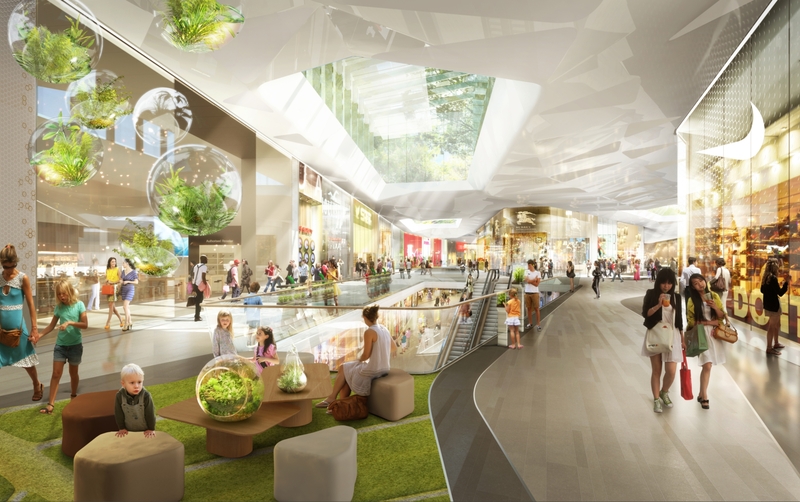 The combined group will have 104 shopping centres worth over $95 billion across 13 countries. Unibail will rebrand its bigger Unibail malls as Westfield. The boards of both companies have unanimously recommended the offer. The deal was struck after six weeks of negotiations and will see Lowy and his two sons Peter and Steven remain in advisory and board positions within the entity. Lowy will retire as Chairman of Westfield. The family will remain as investors in the new company. Sir Frank was appointed a knight bachelor by Her Majesty, Queen Elizabeth II in the birthday honours list announced in June. He was recognised for his contribution to the British economy following the development of two large UK centres – Westfield London and Westfield Stratford City, and for his philanthropic endeavours. In November, London’s third Westfield complex was approved by city councillors at Croydon. The £1.4 billion shopping centre development could be open by 2022. "For the assets I have spent my life building I could not imagine a better home for them than in this new company," Frank Lowy said. "Today is the second most important day in Westfield history – the most important day was September 1960 when Westfield was born [in Sydney’s west]." Lowy received his knighthood early this month at Windsor Castle, some ten years after opening his first shopping centre in Britain.